The other day, Nathanael Berestycki presented some very nice results on random permutations. Start with the identity permutation of and compose with random transpositions: in short, at time we consider the random permutation where is a transposition chosen uniformly at random among the transpositions of . How long do we have to wait before seeing a permutation that has a cycle of length greater than , where is a fixed constant ? The answer has been known for quite a long time (O. Schramm,2005), but no simple proof was available: the highlight of Nathanael’s talk was a short and elegant proof of the fact that we only have to wait a little bit more than steps to see this giant cycle! The first half of the proof is such a beauty that I cannot resist in sharing it here! or one cycle of breaks into two cycles. In short, the process behaves like a fragmentation-coalescence processes. At the beginning, the cycle structure of is trivial: there are trivial cycles of length one! Then, as times goes by, they begin to merge, and sometimes they also break down. 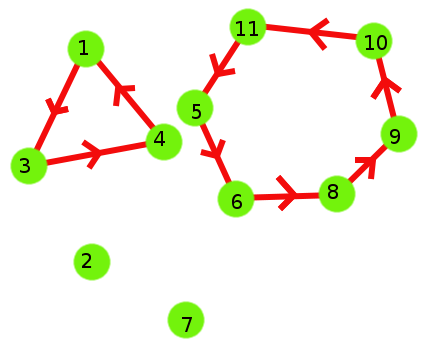 At each step two integers and are chosen uniformly at random (with ): if and belong to the same cycle, this cycle breaks into two parts. Otherwise the cycle that contains merges with the cycle that contains . 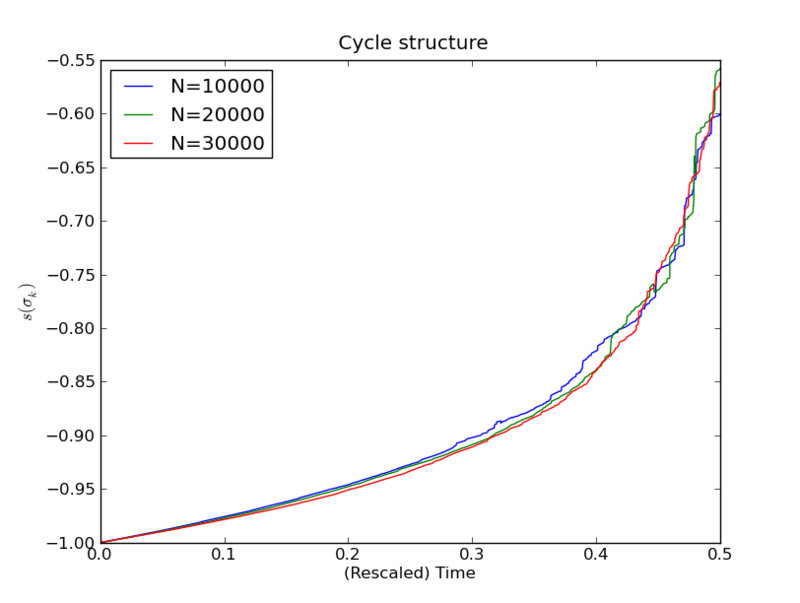 Of course, since at the beginning all the cycles are extremely small, the probability that a cycles breaks into two part is extremely small: a cycle of size breaks into two part with probability roughly equal to . 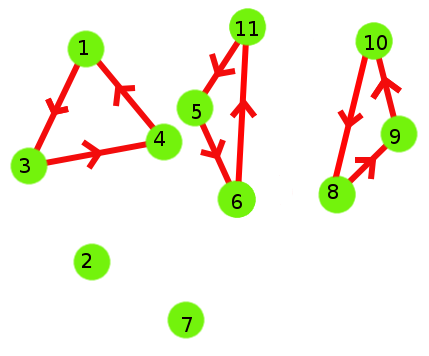 The fundamental remark is that each cycle of is included in a connected component of : this is true at the beginning, and this property obviously remains true at each step. 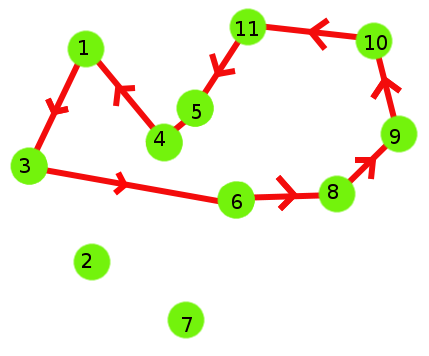 The Erdos-Renyi random graph is one of the most studied object: it is well-known that for , with probability tending to , the size of the largest connected component of is of order . Since , this immediately shows that for , with the length of the longuest cycle in is of order or less. This is one half of the result. It remains to work a little bit to show that if we wait a little bit more than , the first cycle of order appears. The plot represented the evolution of the quantity between time and for dimensions .